Professor and Head of Pharmacology and Toxicology Department, Faculty of Pharmacy, Al-Azhar University, Cairo, Egypt. Prof. Azza A Ali has completed her PhD specialized in Pharmacology and Toxicology from Faculty of Pharmacy, Cairo University. Her postdoctoral studies included different scientific aspects related to her specialization field with giving especial interest to researches of neuropharmacology and psychopharmacology; she also developed research line of behavioral pharmacology in Egypt. 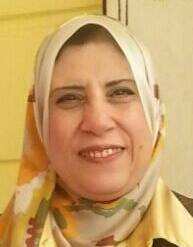 She is member of many scientific societies in Egypt and of (AAPS) American Association of Pharmaceutical Scientists (2002) and published more than 35 papers in reputed journals, supervised and discussed more than 50 PhD and MSc thesis and actively participated by oral and posters presentations at many international conferences especially on Alzheimers disease & Dementia. Now she is a Head of Pharmacology and Toxicology Department at Al-Azhar University and she sacrifices great effort hoping to find real treatment that can prevent or delay the progression of Alzheimers disease especially in the high-risk individuals focusing on depression, stress and malnutrition. Neuropharmacology, Psychopharmacology, Behavioral Pharmacology, Alzheimers disease and Dementia, Parkinsons disease, Depression, Schizophrenia, Anxiety (In different stressful conditions), Aggression and Social Interaction, Malnutrition and Brain Disorders, Environmental Neurotoxicity, Teratology.